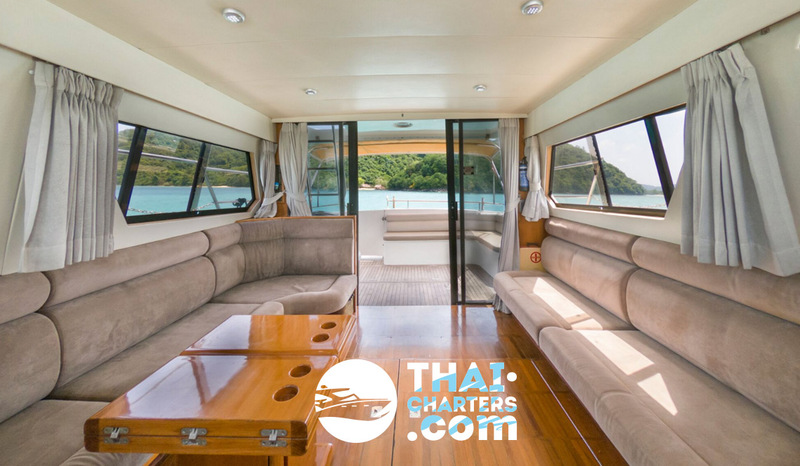 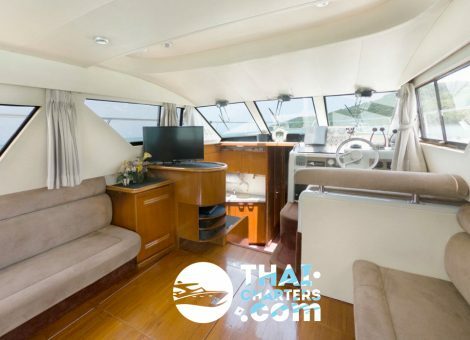 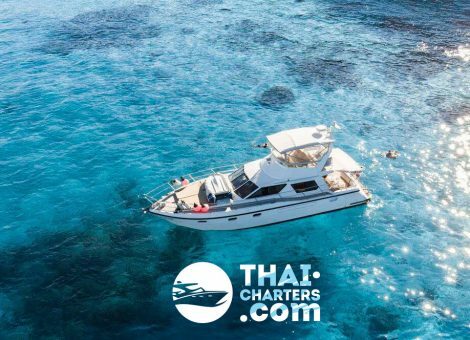 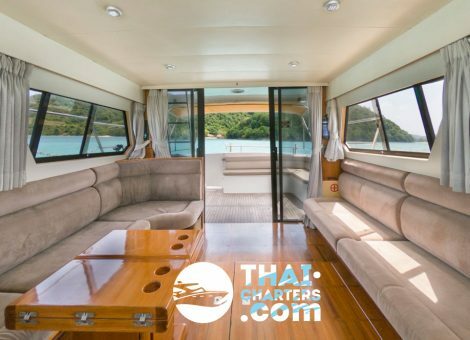 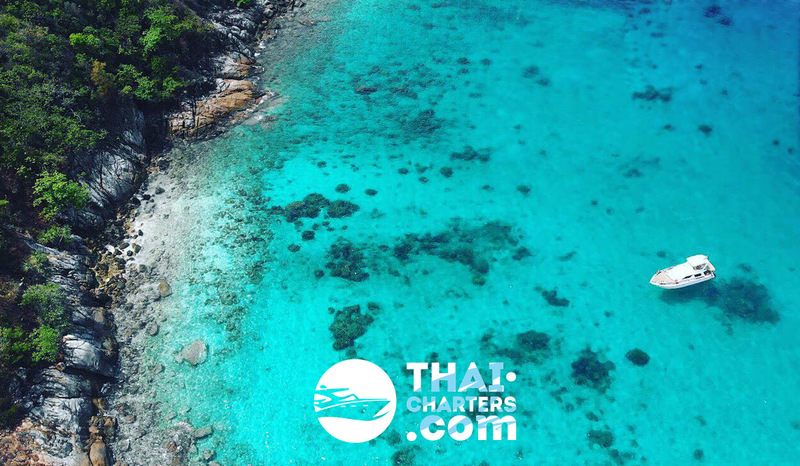 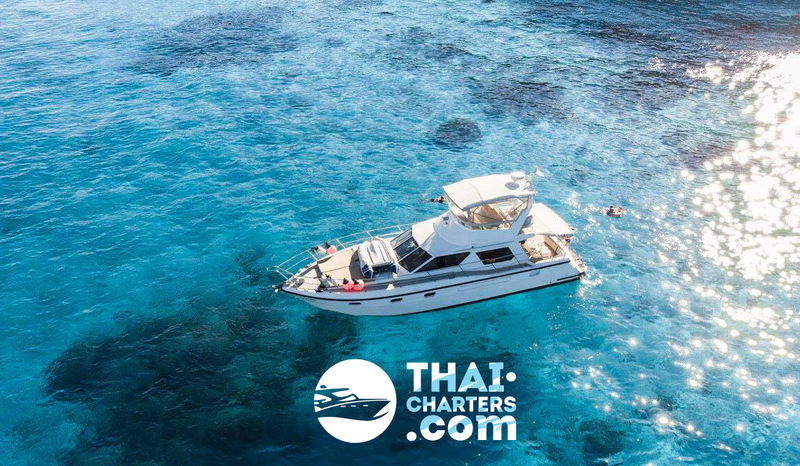 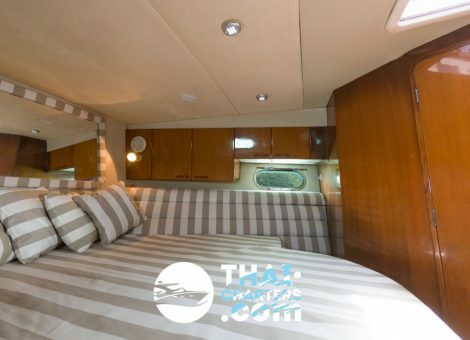 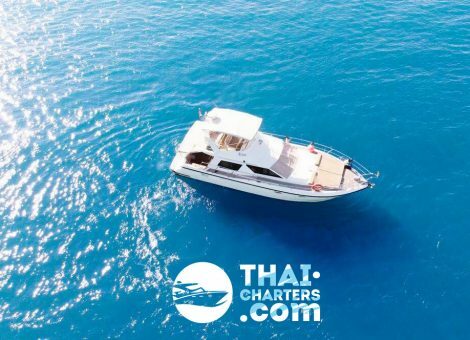 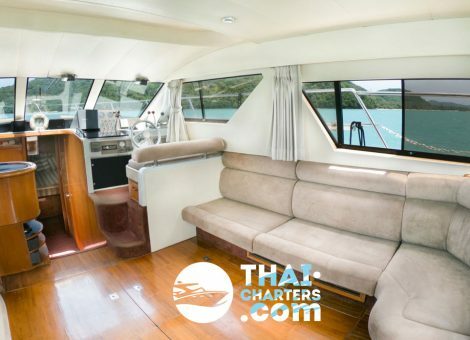 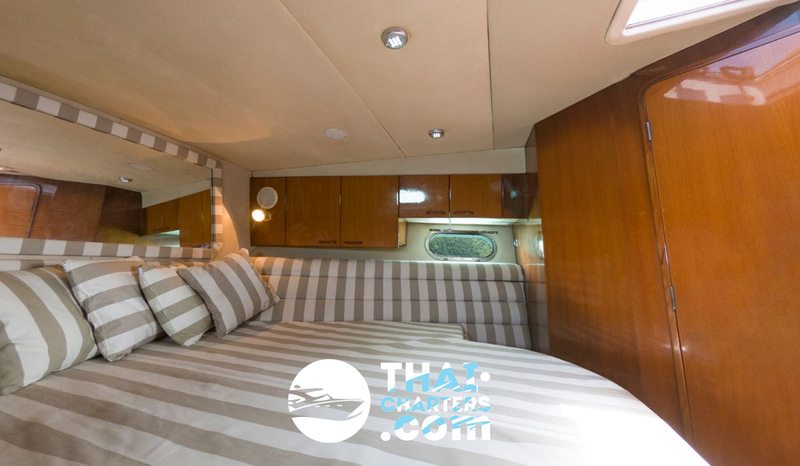 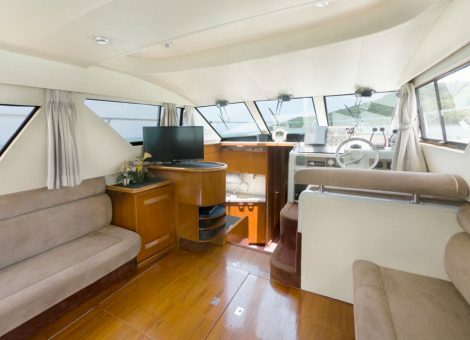 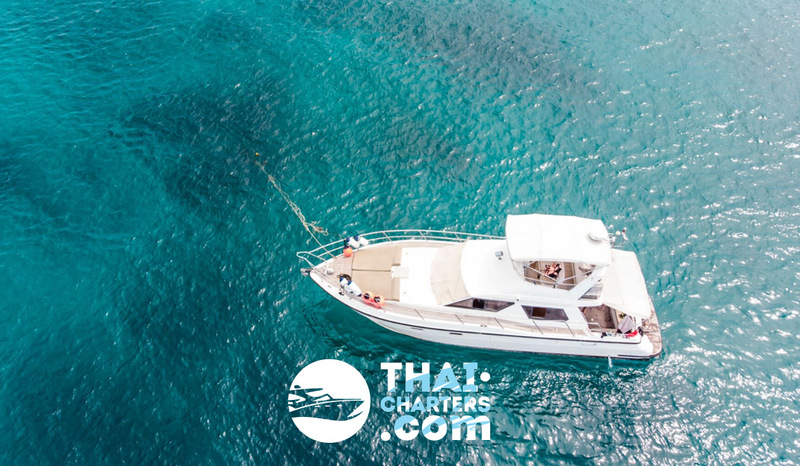 Very spacious motor yacht named «Seahawk» from Seahawk Taiwan shipyard is a good option for sea trips and snorkeling. 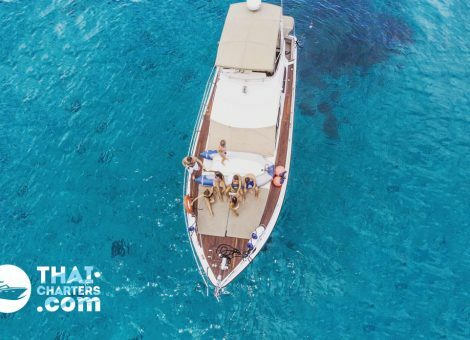 15 meters long up to 15 people on board. 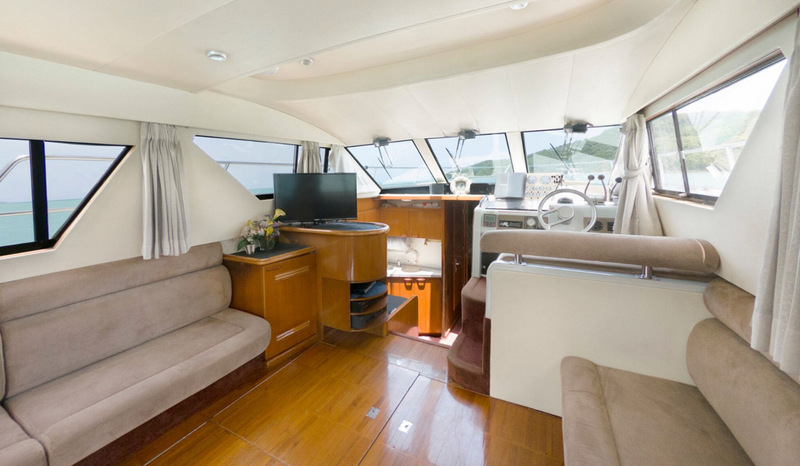 3 zones: flybridge, saloon and cabins. 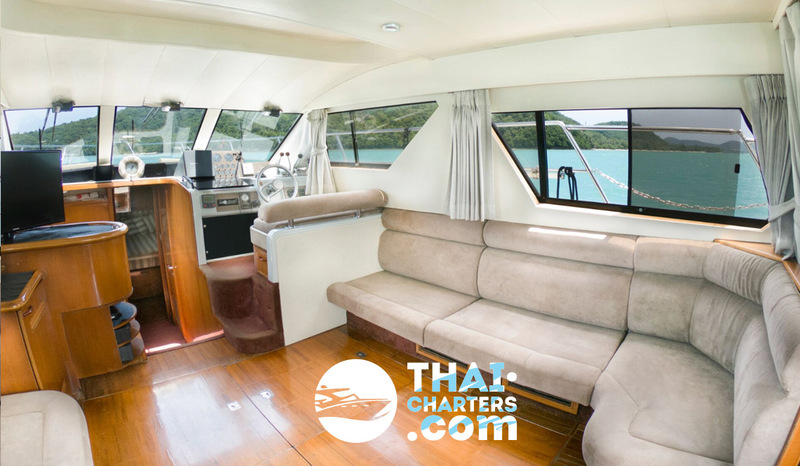 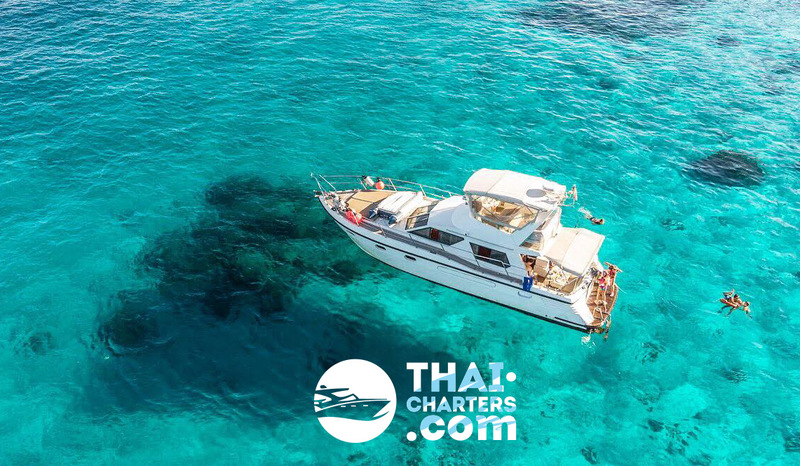 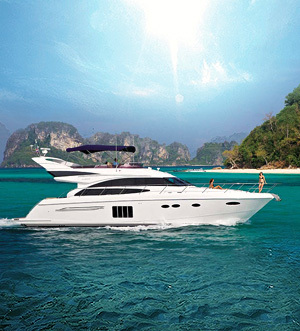 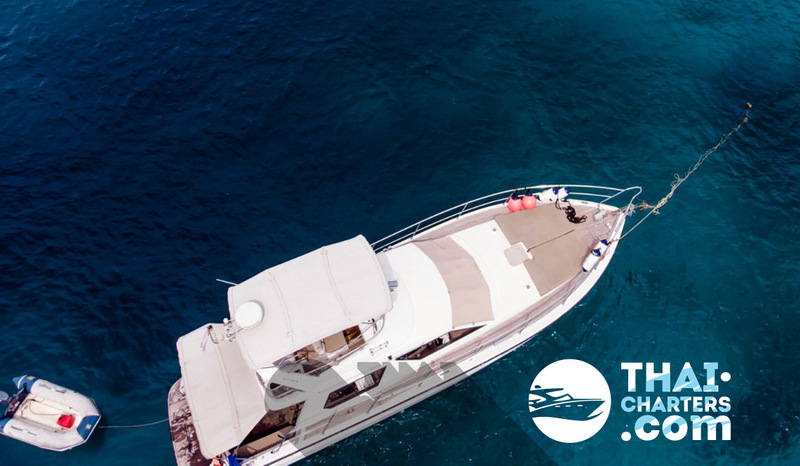 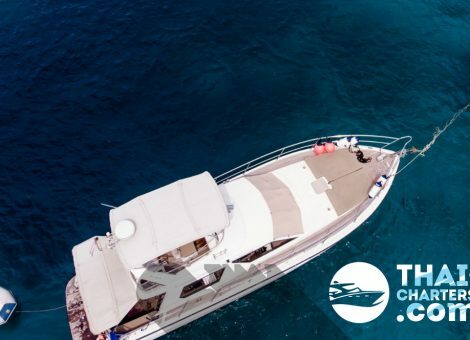 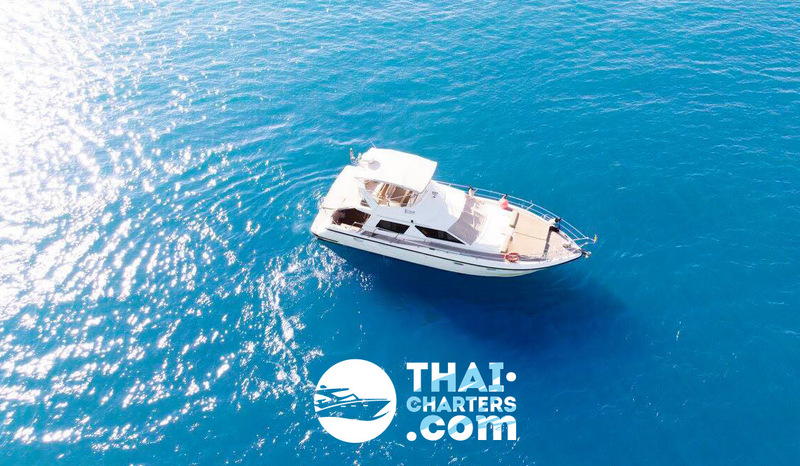 For your comfort motor yacht have an equipped kitchen, 2 shower, 2 double cabins, air conditioning, floor mats for sunbathing. 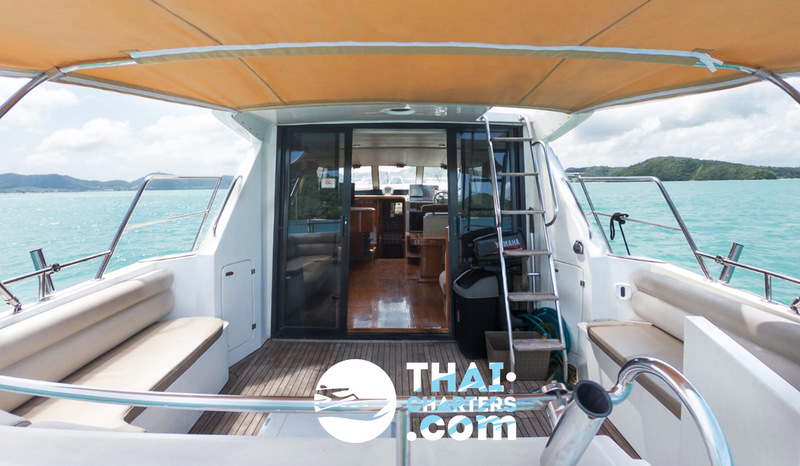 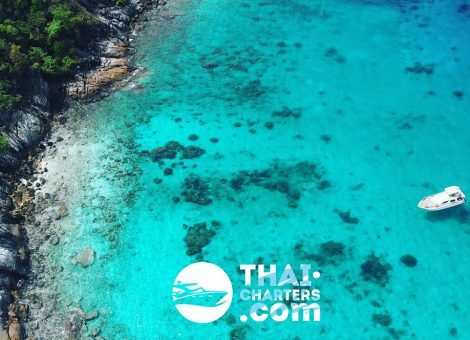 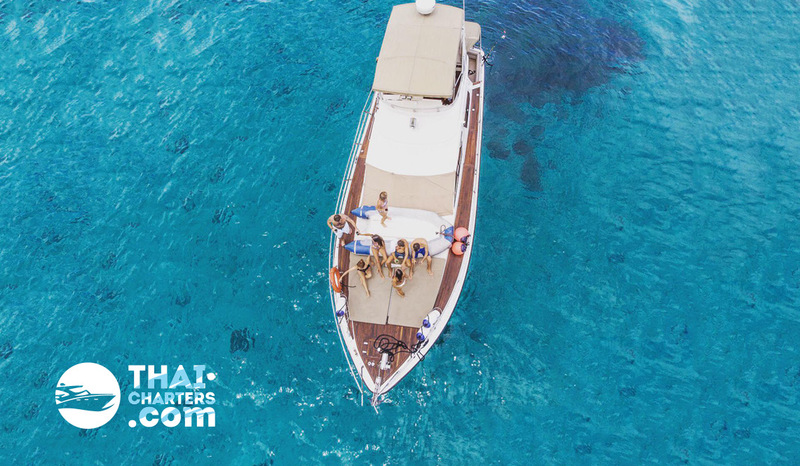 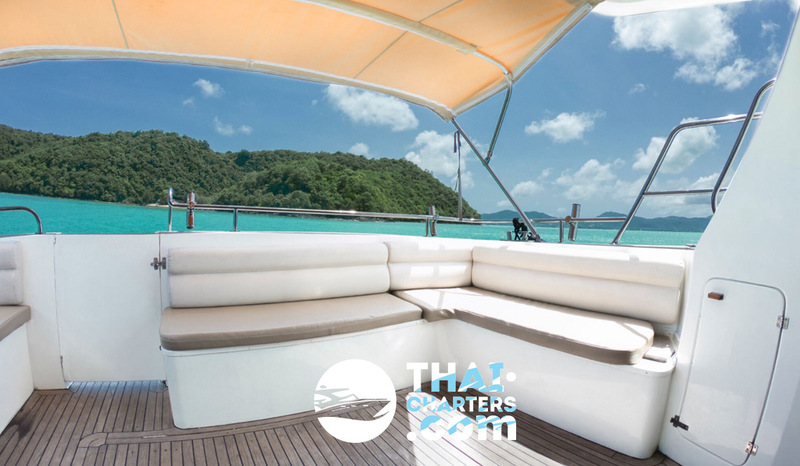 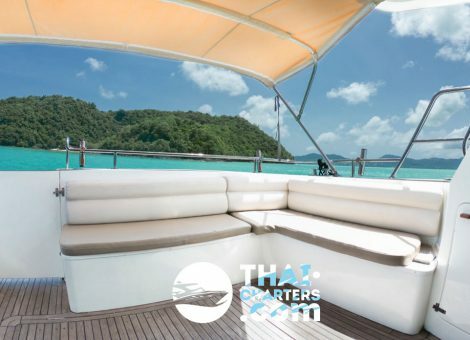 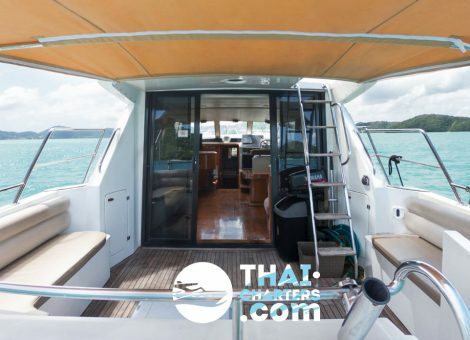 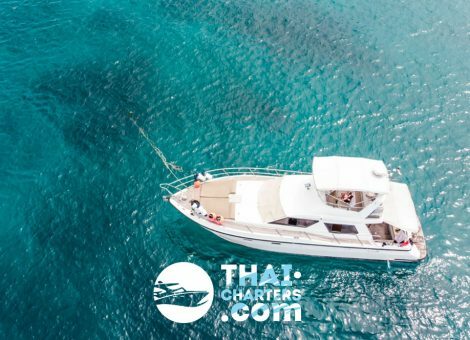 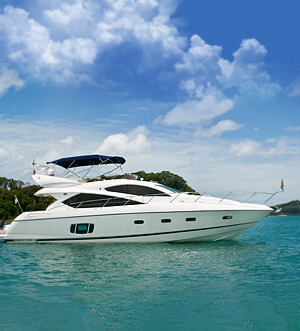 There are 2 fresh water showers, toilet, snorkeling equipment and life jackets on yacht.